This media sales leader traded in his suit for a more fulfilling career in product marketing. Hear how Cam’s first-hand experience in both sales and marketing have equipped him with good insight into how to add value as a product marketer. While marketers focus much of their time and energy wooing prospects and customers, they routinely neglect what is arguably the most important audience of all — the sales department. Although blog posts, whitepapers, case studies, and other forms of content excel in generating leads and awareness, they rarely close deals on their own. For that, you need a driven sales team equipped with content for its own use. There are two types of people in this world, or at least in my New York City neighborhood: Those who get bagels from David’s, and those who get bagels from Bagel Boss. Here’s what two New York City bagel shops sitting 200 feet apart can teach you about customer loyalty. If you need help aligning your teams around your strategic narrative, watch this video. A great story drives sales, marketing, fundraising, recruiting, product—everything. Andy Raskin, strategic narrative expert, breaks down Zuora CEO Tien Tzou’s killer story into 5 easy steps. New York Times best-selling author Neil Strauss argues it’s our moral obligation to be the best leader possible. The world needs leadership more than ever today, especially since so many people have been conditioned by society to be lazy sheep. There are six traits that characterize all great leaders throughout history. Do you have them? Patrick is the Co-Founder & CEO at Price Intelligently. He’s helped companies like Wistia, Litmus, Zapier and Optimizely overhaul their pricing to maximize profits. Price Intelligently is revolutionizing how businesses price their products and services through technology and services. Our call for speakers is now open! 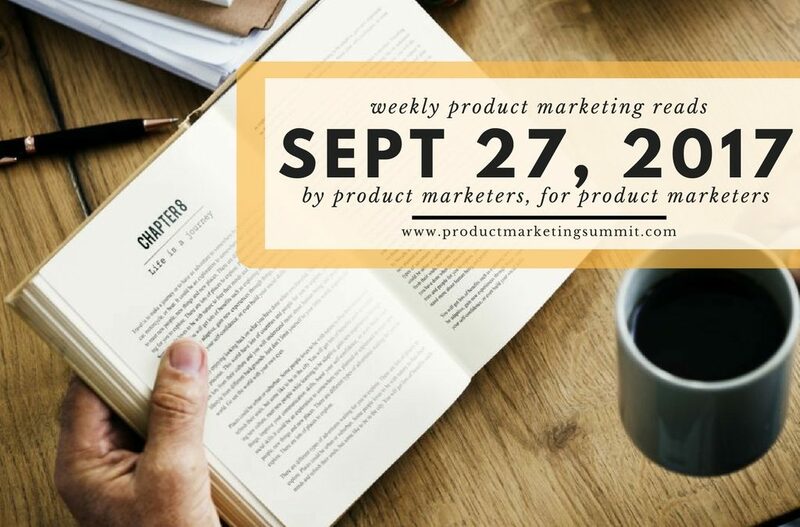 If you ‘re a product marketing leader with an impressive track record and interested in speaking, email justin@productmarketingsummit.com.